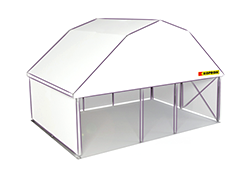 Kopron works within large exhibitions and fairs with a whole range dedicated to canopies. 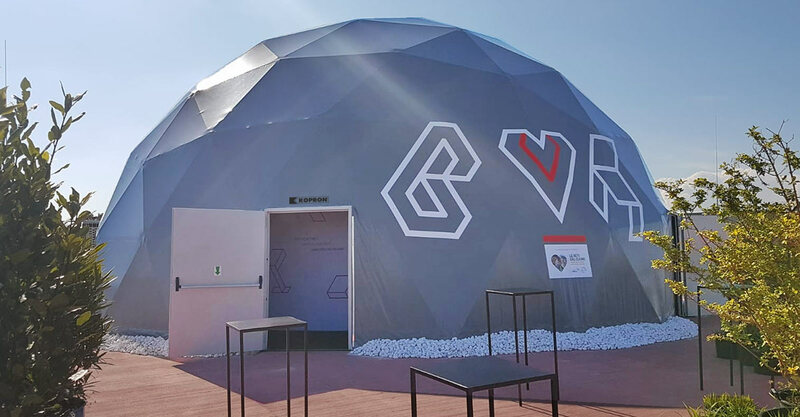 The experience of Expo Milano 2015 and constant collaboration with the Bologna Fiera authority have allowed Kopron to make its mark in the world of universal exhibitions and international fairs by creating large canopies designed especially for any specific event. 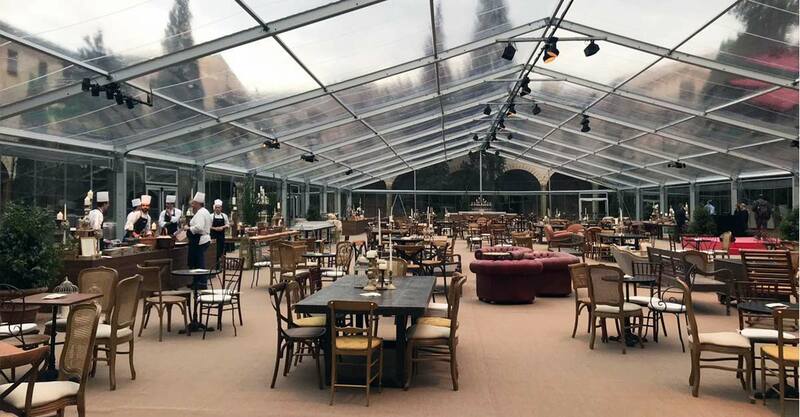 The canopies dedicated to the world of fairs and exhibitions have a steel and/or aluminium structure and can be covered by a sturdy PVC curtain, polycarbonate or sandwich panels according to customer requirements. 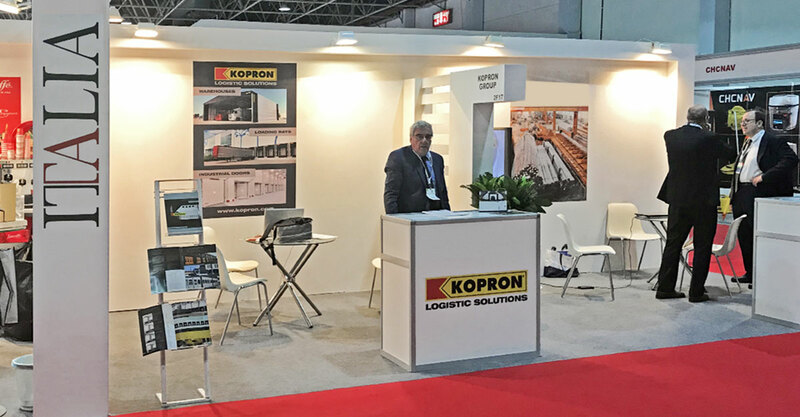 Upon demand, Kopron offers a complete services that, after coordinated design with the customer and development, includes internal fitting in order to start the event itself. The colour of the curtain to match the type of event or the location can also be chosen. 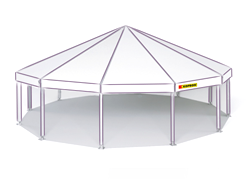 The Independent Canopies are ideal to host large events in exhibition centres or theme parks. 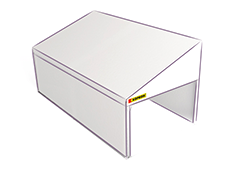 With their modular and simple shapes that can solve any temporary cover related problem for events. 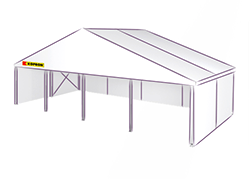 Each independent canopy can be ideally positioned in open areas or closet o existing structures without the need for any kind of foundations. 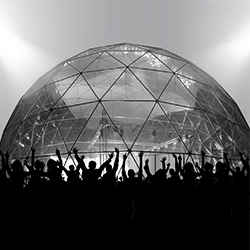 that combine functionality and appearance by counting on total graphic and stage personalisation of the entire structure.